Alma De Groen was born in New Zealand in 1941 and moved to Australia at the age of twenty-four. De Groen is the author of many plays, of which The Rivers of China is probably the best known. It won the Premier’s Literary Award for Drama in both New South Wales and Victoria. 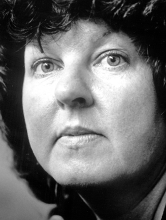 In 1998 De Groen became the first playwright to receive the Patrick White Literary Award for her contribution to Australian theatre. Other plays published by Currency are The Girl Who Saw Everything, Going Home, The Joss Adams Show, Vocations, Wicked Sisters and The Woman in the Window.